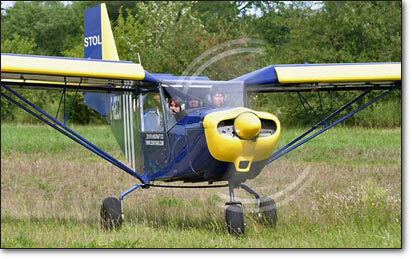 With form following function, the STOL CH 801 kit aircraft looks like the sport utility aircraft it is designed to be. Not designed to be just another pretty aircraft, the STOL CH 801 was developed to provide maximum short-field performance while being easy to build and maintain. 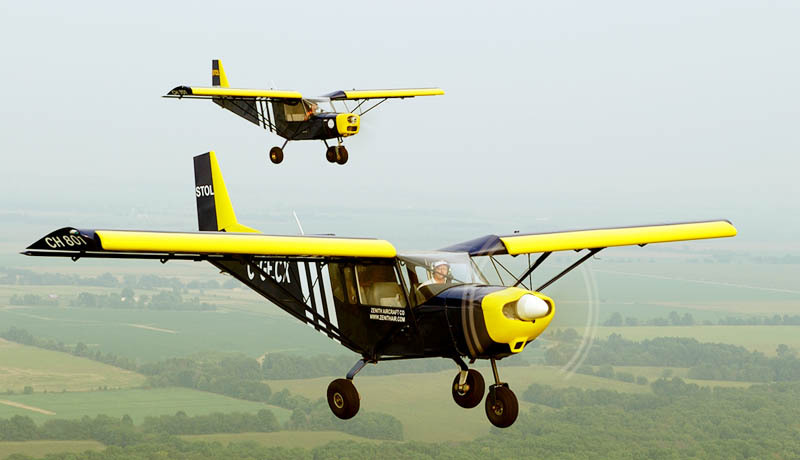 The STOL CH 801 is a four-seat sport utility kit aircraft based on the successful two-seat STOL CH 701 design developed by aeronautical engineer Chris Heintz in the mid eighties. Since its introduction in 1986, more than 400 short take-off and landing STOL CH 701 aircraft have been successfully built and flown around the world, many being used for light utility purposes. "The two-place STOL CH 701 has been a success story largely unnoticed in the U.S.," wrote EAA Sport Aviation magazine is its April 1998 issue. "More than 400 have been completed worldwide but only 100 of them have emerged from homebuilder's shops in the U.S. Usually that ratio would be reversed, but the real world use of the airplane has dictated otherwise. A significant number of those being used in Africa and other under-developed areas of the world rarely or never see a paved runway... or any sort of formal runway, for that matter." "With 400-plus CH-701s currently flying, Zenair / Zenith Aircraft have certainly established the viability of this STOL design. Their newest aircraft, the CH 801, just expands that design concept to four places, creating a true utility kit aircraft." Built of durable all-metal construction, the STOL CH 801 is designed to provide the durability and ruggedness required of an "off-airport" bushplane, while being quick and easy to build and maintain. Developed as a true sport utility kit aircraft, the STOL CH 801 offers many modern features for truly spectacular short-field performance and overall versatility. The STOL CH 801 aircraft is at home on off-airport fields as well as on city airports, providing both the versatility of a four-seat aircraft and the capability of a cargo-hauling bush plane. Developed as a sport utility aircraft, high speed performance has been traded for outstanding high lift features to offer true short take-off and landing performance and spectacular slow flight characteristics, with a huge cabin and payload. While many other aircraft designs may be faster than the STOL CH 801, none offer more payload and short-field capability in an aircraft that is both as affordable and as simple to build. Simple systems make the STOL CH 801 easy to build and maintain, while maximizing reliability. Its slow stall speed makes the aircraft easy and fun to fly, even for the novice low-time pilot. Designer Chris Heintz, a veteran aeronautical engineer, explained: "As a two-seater the STOL CH 701 has limited bushplane uses, and I've had constant requests for a larger version of the 701 - an all-metal four-seater that was as simple to build and maintain as the 701 and that offered the same short and rough field capability." "The four-seat CH 801 is an amazing new design..."
Heintz pointed out that there are no plans of discontinuing the smaller STOL CH 701 design, and that the STOL CH 801 is simply a new product being added to his line of successful designs: "While we've seen several four-seat utility kit planes introduced over the past few years, these designs are not based on a proven platform and appear to be fairly complex to build while also being cost-prohibitive for many mission applications. Bush pilots want and need an aircraft that they can depend on and sport pilots want to maximize the utility of their aircraft: Rather than just flying to buy the proverbial $100 hamburger, the STOL CH 801 offers the payload and short-field capability that few aircraft can offer, at a price that's very competitive. The 801 is a SUV [sport utility vehicle] among other kit planes. While being an ideal recreational aircraft for those wanting 4-seats, it also has the capability of a serious bushplane." Development of the STOL CH 801 actually began in 1988 when Chris Heintz started design of the four-seat aircraft for an offshore customer, but a prototype was never completed when the customer postponed the order due to the lack of a suitable powerplant for the design at the time (conventional aircraft engines were deemed unsuitable by the customer due to cost and spare parts availability). The prototype STOL CH 801 was first powered with a 180-hp Subaru automotive conversion, and is now powered by the Lycoming O-360 (180-hp). "In response to demand, I've developed the STOL CH 801 with auto-conversions as an option. Operators in remote parts of the world want an engine that will take automotive fuel and they want spare parts availability. Additionally, many modern automotive conversions minimize the engine cost while maximizing performance thanks to lighter engine weights," stated Heintz. 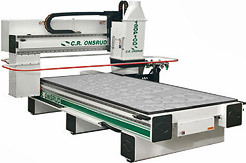 "With 180 hp, we achieve the performance you'd expect to find with a similar-size aircraft using 250-hp - that means an aircraft that's more affordable to own and operate"
The standard STOL CH 801 kit now includes many CNC pre-cut and pre-drilled skins and components for a more precise finish and easier assembly. Overall design and construction simplicity for field-maintainability, including easy-remove cowls for quick access to the engine. Zenith Aircraft Company also manufactures the kit for the STOL CH 701, the original two-seat STOL design from Chris Heintz.